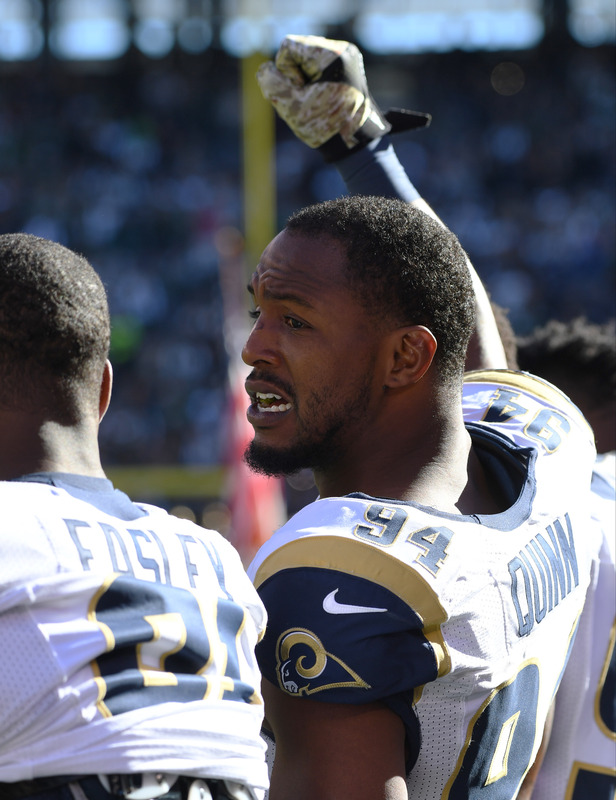 The Rams have placed running back Benny Cunningham and defensive end Robert Quinn on injured reserve, the team announced today. In related news, the team has promoted offensive lineman David Arkin and defensive end Morgan Fox to the 53-man roster. Quinn has missed the last two games with a concussion and he’ll have to wait before he can take the field in the post-Jeff Fisher era. After missing time with other injuries this year, Quinn’s 2016 season ends with an efficient four sacks in just nine games. After missing half of the 2015 season, Quinn hopes to come back strong and healthy in the New Year. When he’s on the field and playing at 100%, Quinn is one of the most intimidating young edge defenders in the league. Quinn showed his true potential in 2013 when he earned First-Team All-Pro and Pro Bowl honors as he tallied 19 sacks. He also received a tremendous 98.8 overall grade from Pro Football Focus. He came back down to earth a bit in 2014, but he still racked up 10.5 sacks on his way to yet another Pro Bowl selection. Without Cunningham, the Rams are left with three running backs on the roster: Todd Gurley, Malcolm Brown, and Chase Reynolds. Just days after being released, veteran defensive tackle Cam Thomas has re-signed with the Rams, according to Aaron Wilson of the Houston Chronicle (Twitter link). Los Angeles has waived guard David Arkin in a corresponding roster move, per Jim Thomas of the St. Louis Post-Dispatch (Twitter link). 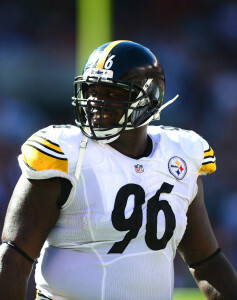 Signed in 2014 to act as a cog in the middle of Pittsburgh’s 3-4 defense, Thomas never became a key factor in the Steel City, starting only 10 games during his time with the club. After playing on more than 40% of the Steelers’ defensive snaps in 2014, Thomas struggled to get on the field in 2015, seeing action on less than 17% of plays. A 330-pound run stuffer is never going to generate much in the way of traditional stats, but Pro Football Focus wasn’t a fan of Thomas’ work last season, assigning him below-average grades against both the pass and the run. Nevertheless, the 29-year-old Thomas, who spent the first four years of his career with the Chargers, can still find a role as an early-down player in today’s NFL. Thomas has 85 games of experience under his belt, and he didn’t go completely unnoticed on the open market, as he took a March visit with the Seahawks. Seattle ended up re-signing its own defensive tackle free agent, Ahtyba Rubin, and Thomas languished in free agency until signing with Los Angeles in June. Arkin, 29 next month, has spent time with the Cowboys, Colts, and Dolphins, but didn’t appear in the NFL last season. He signed a futures deal with the Rams in January.